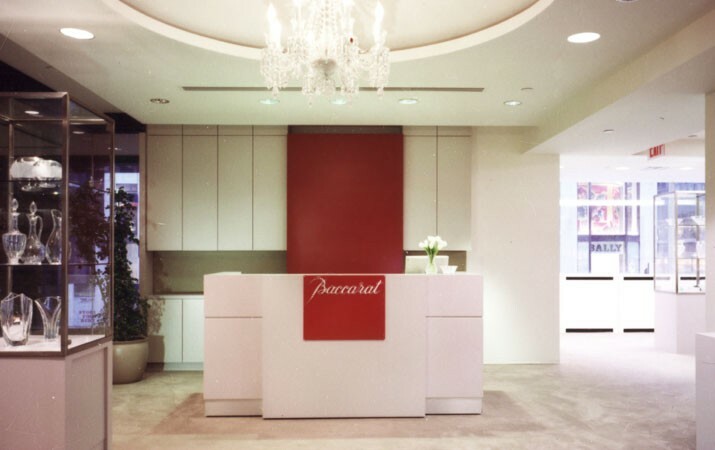 2RKS Architects created the Baccarat Crystal Showroom adjacent and its new executive offices and flagship store. The flow of space and separation of public and office area maintain itself as a unique environment for social and buyers’ events. 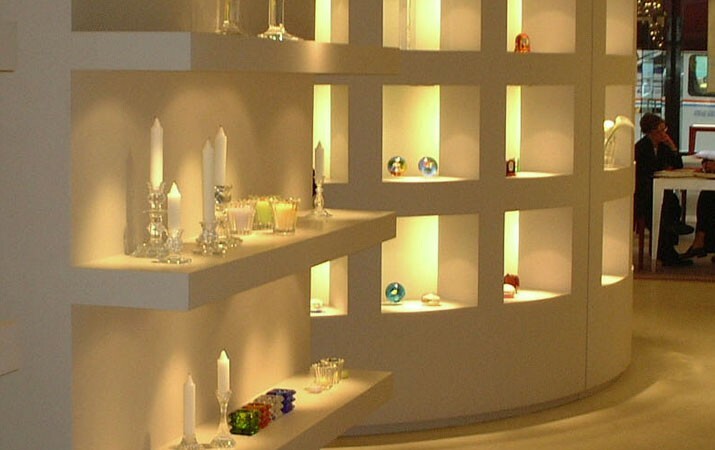 2RKS Architects designed the flagship retail store for the 300 yr old French crystal company Baccarat. Completely renovated from its former self at its Madison Ave location the store is seamless in its flow of space and exquisite use of detail. 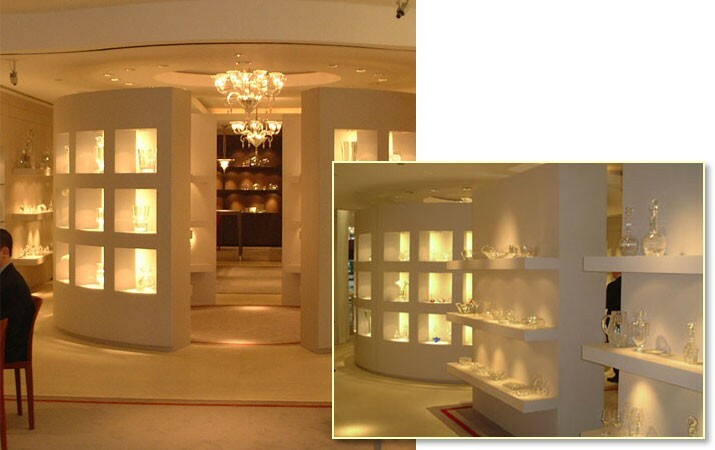 We had re-shaped the existing structural and mechanical systems to achieve a two story high space at the entrance giving further accentuation of light to the specialty retailers crystal.